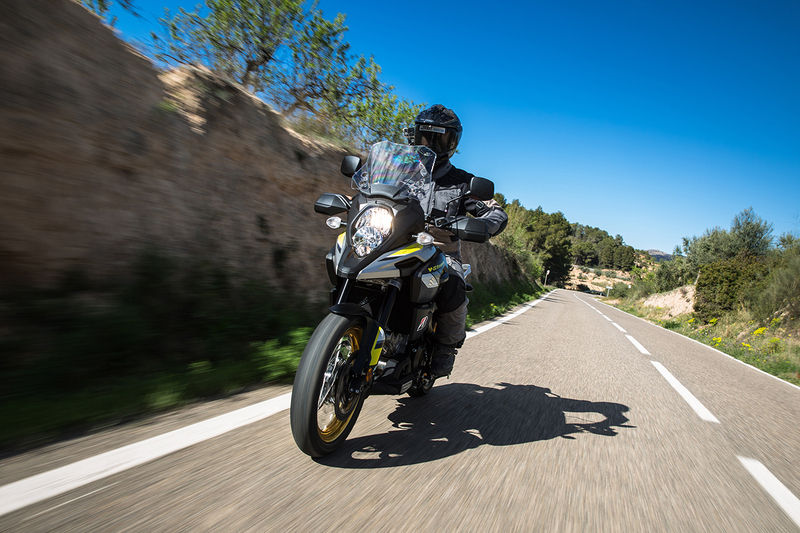 Euro 4 has companies scrambling to update their bikes and keep the sales figures ticking over. As such we’ve been graced with an enormous amount of new and updated models for 2017. The Suzuki DL 1000 is one such model that has been granted a facelift. Back in ’13, in the golden sun baked hills of California, Suzuki unveiled an entirely new look V-Strom one 1000. The cherry red paint scheme, distinctive beaked front and more adventurey styling was the very first step into a new year for a company that very, very nearly wasn’t making bikes any more. It has taken the Japanese company a long time to return from the cliff edge but they are here, racing, producing quality sports bikes and bright yellow adventure bikes. They’ve brought their top-selling 650 into the current age and made it less like a beginner’s commuter bike. The V-Strom 1000 however, bar some jazzy new paint, isn’t a whole lot different. The world has moved on. We’ve got an Africa Twin now, some improved Triumph Tiger’s, an almost ten-year-old F 800 GS and the Kawasaki Versys and a Crosstourer operating in very similar price brackets. Still rocking ABS and adjustable forks. 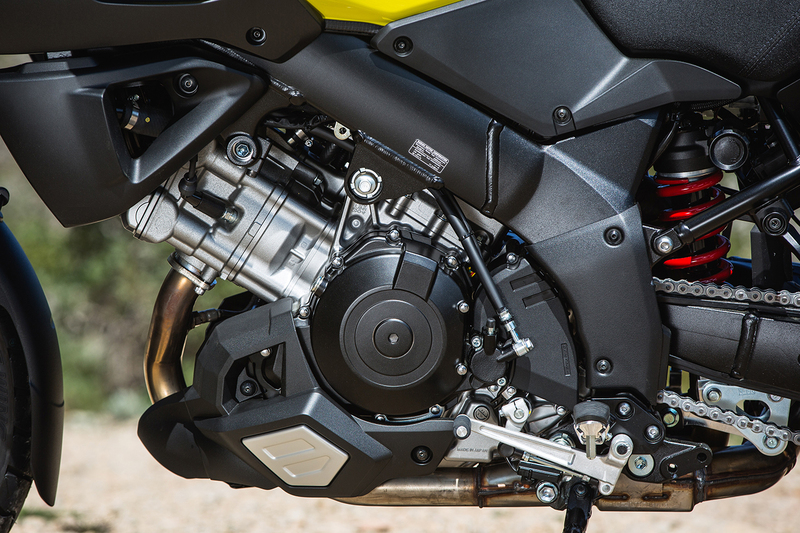 For the 2017 update, Suzuki brought the V-Strom into the new emissions respectably. They’ve lost just a single, negligible NM of peak torque. For a stricter emissions ruling, it’s really not bad. 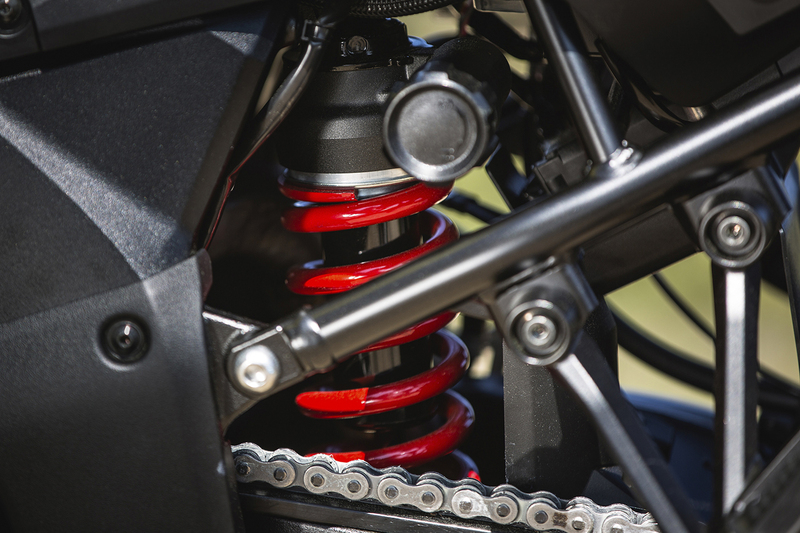 Some of the 17 models have come out swinging with hulking great power increases but Suzuki clearly feel the V-Strom 1000 really needed that much updating. A little re-style has seen the front beak shape altered, the seat shape changed and some new colour schemes added to the mix, including the ‘off-road’ style Champion Yellow with its gold, tubeless spoked wheels. The preload adjuster is very easy on the hands. The display is clean, functional and simple to use. The XT model now includes this cowl. The windscreen has been updated after the old design received a lot of flack too. The height can still only be adjusted with an Allen key that doesn’t come in the toolkit but you can still change the angle with a one handed push. It’s now a little wider and 9mm higher. Suzuki have also popped some hand guards and a plastic sump cowl into the mix as standard items. The biggest change to package however is the addition of a cornering aware ABS system and linked brakes. It’s one of the big new additions to the 2017 GSX-R 1000 and Suzuki have adapted the system to the V-Strom. The ABS now uses a new inertia measurement unit to add lean data to the info collected by the existing wheel speed sensors and judge whether you’re braking too much at the wrong time. It’s a system that has typically been seen on more flagship style bikes, in the £12000 up price bracket. 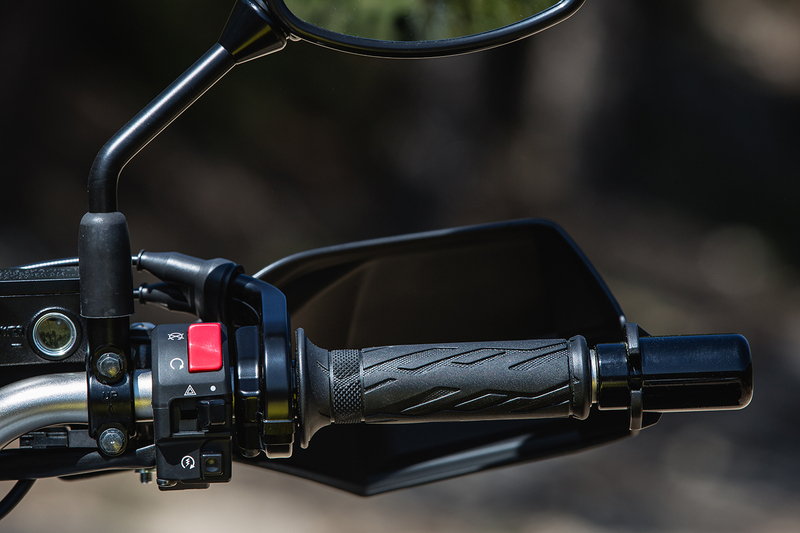 From a functional riding perspective, the 2017 V-Strom 1000 isn’t a new beast. The updates are nice and the bike looks a little cooler, especially in the pearly white colourway but for fans of the series, don’t worry. Your V-Strom hasn’t been adulterated. It’s also worth pointing out right from the start; the V-Strom isn’t a full blown adventure machine. The zook is a Sport Tourer in a comfy upright position and sticker on the beak that says Adventure. It’s 100% street bike and 5% off-road bike. I know that doesn’t add up, I know 105% isn’t possible unless we’re talking about math but if you’ve ridden a V-Strom you’ll understand. For that reason, as with the little brother 650, we aren’t rating the bikes off-road ability. Holding that in mind, the V-Strom is really on track to hit that target. 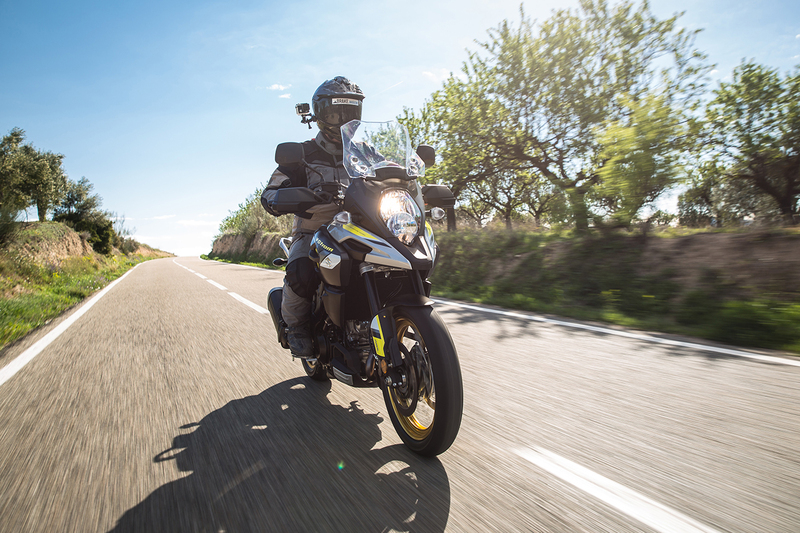 Suzuki built it with the weekend tourer in mind, the person who want to take trips to the places without people and head further afield in the summer months. This is a bike for the person who rides twisties and freeway, who may realistically carry a pillion and luggage. 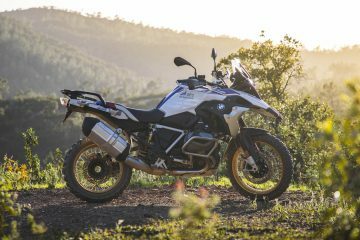 It’s not trying to be a GS and it has very little aspirations of crossing the plains of Mongolia. 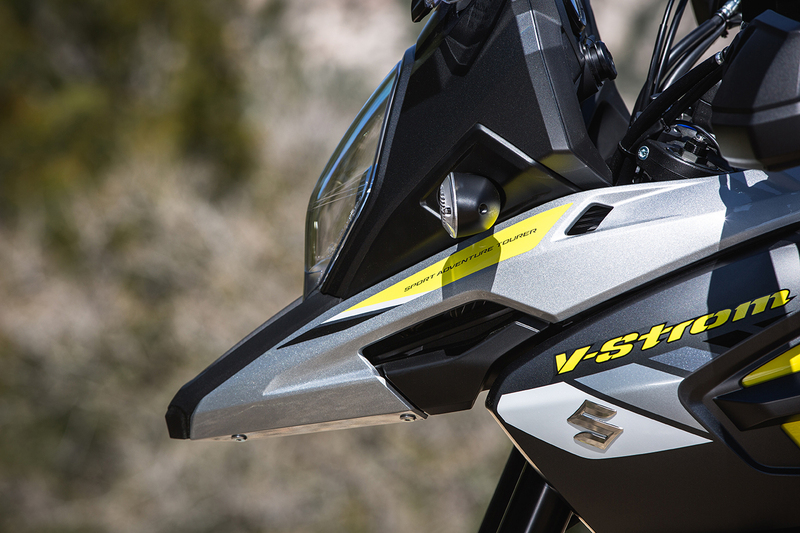 If you like those aforementioned activities, you’ll like the V-Strom. The road handling characteristics are very Suzuki. It tips into corners in a linear, non dramatic fashion. Making the bike lean over took more effort than you’d expect but it isn’t sluggish to turn. It’s not inspiringly sharp handling, nor terribly laconic. It rolls onto its side and comfortably holds position like a seal that’s been doing its morning Pilates. 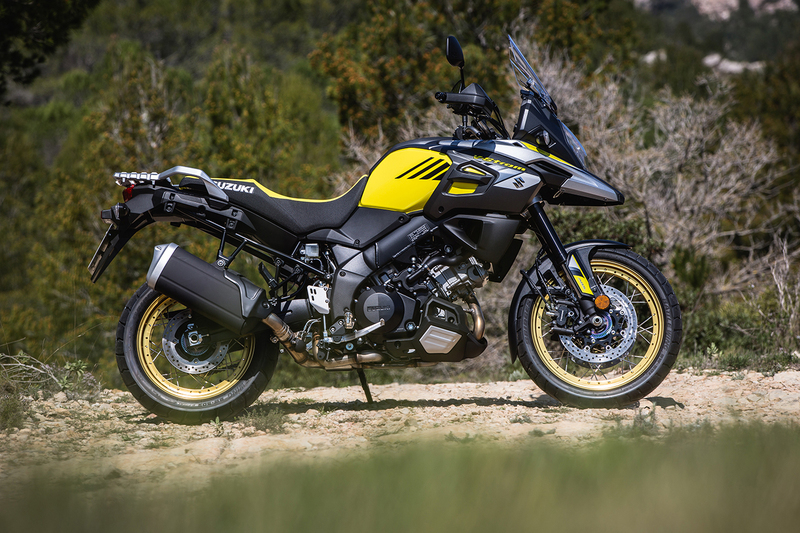 Honestly, the expectation was something a little sharper handling with a little more snap and zip and a side dose of confidence but the V-Strom took some settling into. The 232kg kerb weight is bang on with a standard Africa Twin and it feels about that to weight to ride. Some bikes ride light and others like portly, pie eating, buffet destroying beasts. The V-Strom is what it is. That doesn’t mean it’s tough to potter around town, there just isn’t lightness to the handling. It took a half day before I was comfortable with that. Sorting the balance of the rear shock preload is really important to making the bike handle with confidence. One the day that meant putting the V-Strom a touch more toward the nose. Doing so helped the chassis to turn in more quickly without making things wild and gave me the confidence I was craving. It was easy to to overdo, the difference of five clicks on the preload dial was enough to get things a little wild. The suspension is comfortable as hell and generally well planted. I’m a big fan of bikes having some adjustment in that department and Suzuki need commending for bothering to give you compression and rebound clickers. Getting on the brakes for tighter corners results in a little front end dive that needs dealing with and on long sweeping, continuous arc corners the front wheel moves around a little. It is a strange habit that is hard to understand. It isn’t the kinda walk that made you nervous or felt like the front wheel was hard to place but more as though the rebound was a touch high and subsequently the front suspension was packing down. On the page it sounds nerve racking but that really wasn’t the case. The movement is something noticeable as opposed to something worrying. When the roads open out the V-Strom become even more comfortable. The wind protection is decent, the seat comfortable and the new slimmer mid-section feels very natural. Where the DL excels is in the engine department. The gearing on open roads is exceptional. At first, gears five and six feel tall but the V-Twin engine is infinitely comfortable hauling from low RPM and pulling you forward. Riding the bike at low RPM is where it was most comfortable. Regardless of the situation it handled better and rode smoother when you kept yourself a gear high and rolled through the meat of the torque curve. 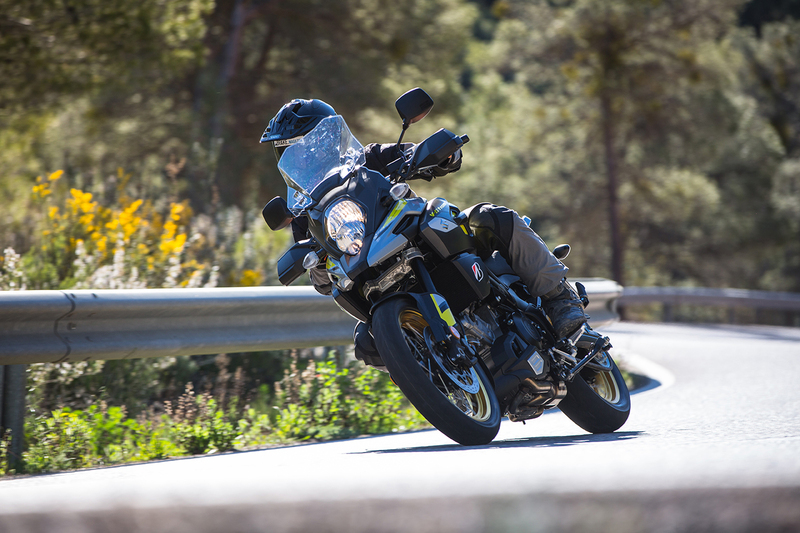 The V-Strom is capable of being a rever but Suzuki have made the torque curve fat and juicy low down and it’s much more enjoyable when kept down there. Suzuki haven’t pitched the V-Strom 1000 bike as an off-road machine. 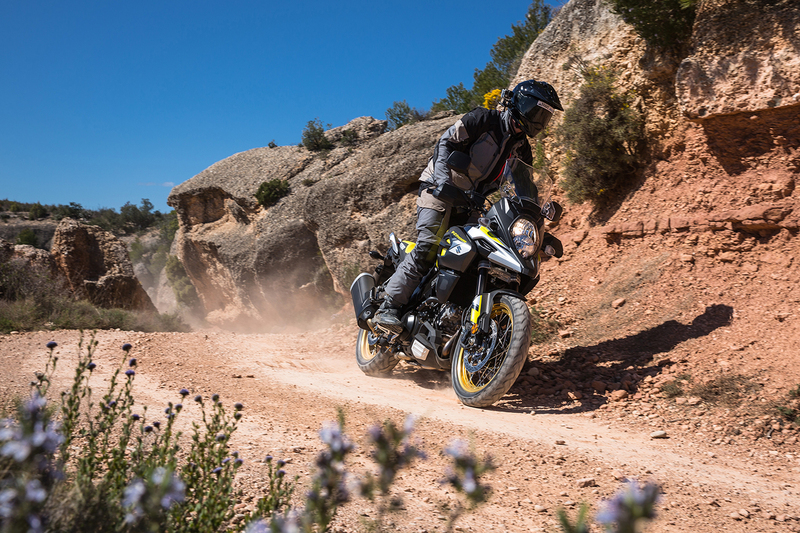 That doesn’t mean you can’t do it but if you’re looking for a bike to go hit a lot of dirt on, the V-Strom isn’t it. That’s not because handles badly on a gravel track but rather because Suzuki haven’t set the bike up to be used for off-road riding. 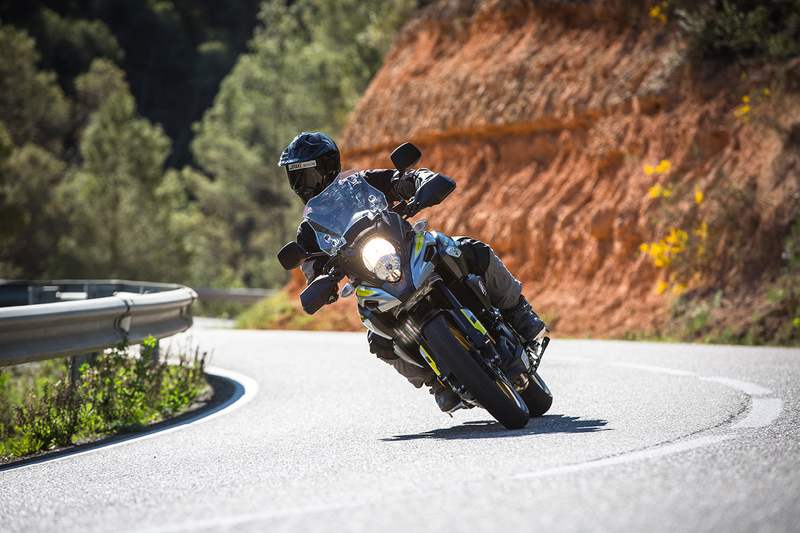 The DL is designed to be a sweet riding Sport Tourer and that’s mostly what it feels like. The first step to making the V-Storm in a dirt friendly bike would be about getting the riding positions sorted. That means it needs higher, straighter and more forward handlebars. Chunky, flat footpegs would be next on the list, followed by some decent rubber. Those changes could be made in your garage and would make a dramatic difference to the capability of the bike. Opening up the compression and rebound clickers on the suspension would really help too. Currently everything moves slowly and packs down. As such, the bike is easily effected by small bumps when it should soak them up. It’s not uncomfortable, just not ideal. The bike is not all bad however. Those garage side mods would complement the engine massively. 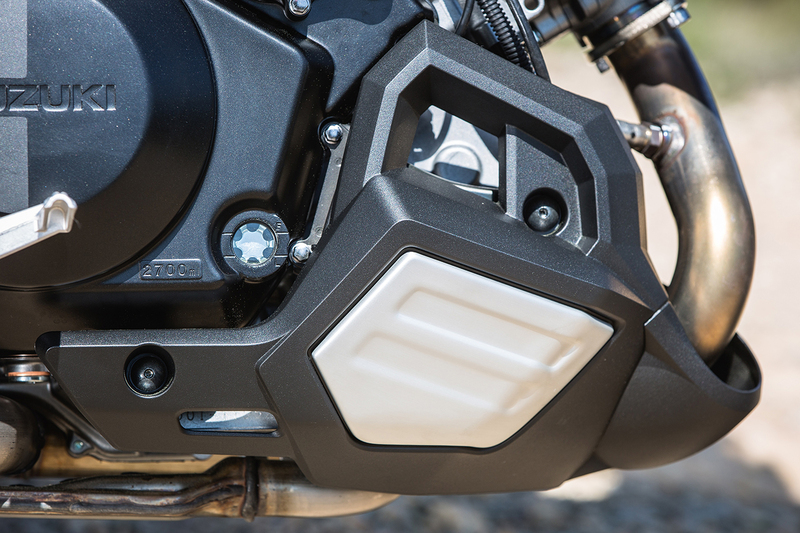 The V-Twin is surprisingly easy to control and has plenty of torque meaning the bike pretty much pulls itself along the trail and has the potential to be fantastic. 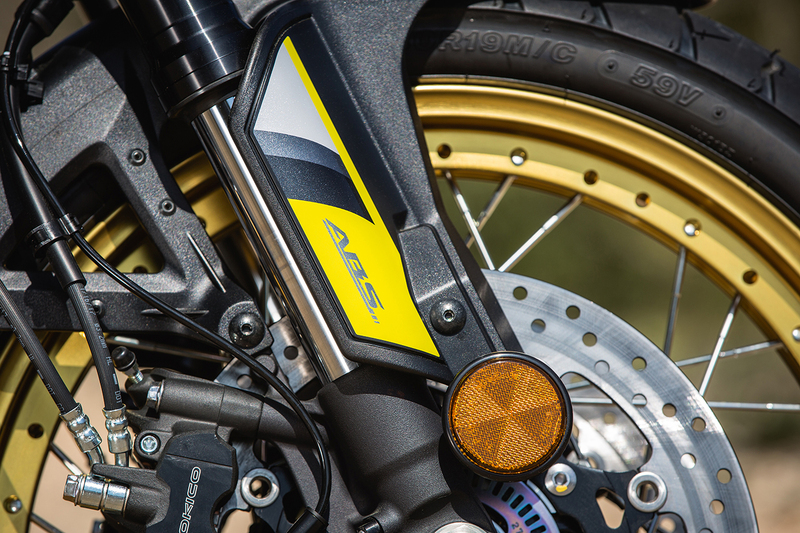 As it is the V-Strom 1000 is capable of plodding along a gravel road with a decent degree of comfort and poise. Suzuki don’t embarrass themselves by letting us take it off-road at all and you could easily, if the odd bit of adventure travel took your fancy, make those changes and be comfortable on simple dirt. The little bits, the features and usefulness for day to day life with a bike can completely alter the ownership experience. 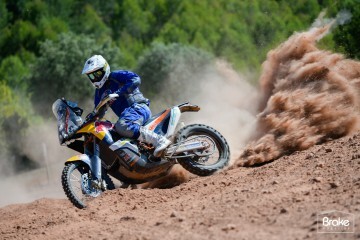 It’s the one area that Suzuki have done exceptionally well. Making those experiences easy and effective is paramount. For example, the traction control system is very easy to use. The left hand switch gear operates the simple, clear menu and it can be changed on the fly. The single push button start is so lazy. Changing the traction control modes is super easy. Those little touches are realistically the Suzuki’s best traits. The smoothness of the traction control is impeccable, as is the low speed assist feature that picks the revs up slightly to make slow speed riding that touch easier. The devil is in the details people. 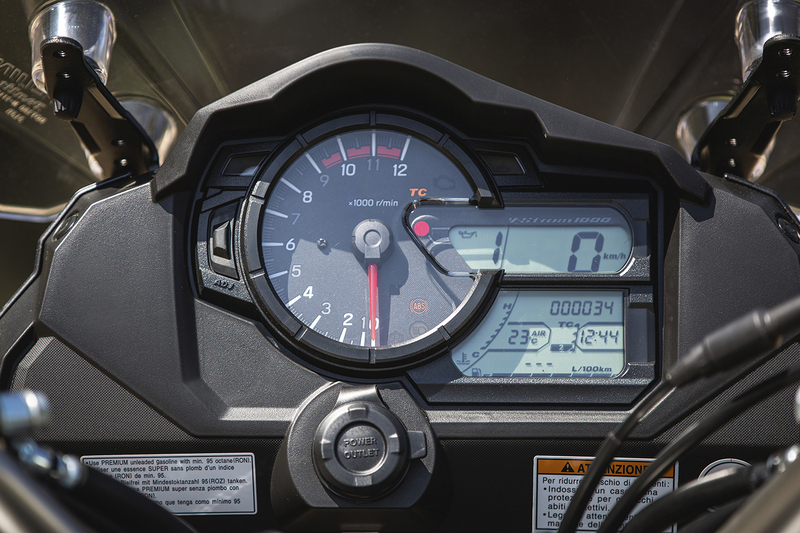 The V-Strom 1000 has a lot to like. The bike is good, the feature level is great for the price range and there really isn’t anything to bemoan. I like the brakes, the engine is smooth and torquey and the ride is comfortable. The injection is well done, the traction control buttery smooth (if not a touch conservative) and little touches like the cornering ABS, one push start, on the fly traction control adjustment, slipper clutch, adjustable suspension and the 12V socket are really nice. That’s a lot of bike for under £10K. If a person in the street wanted to buy one, I’d have no reason to tell them otherwise but it still leaves me wanting something. Pinpointing what that something is has been a real challenge because the main word that comes to mind is ‘character’. 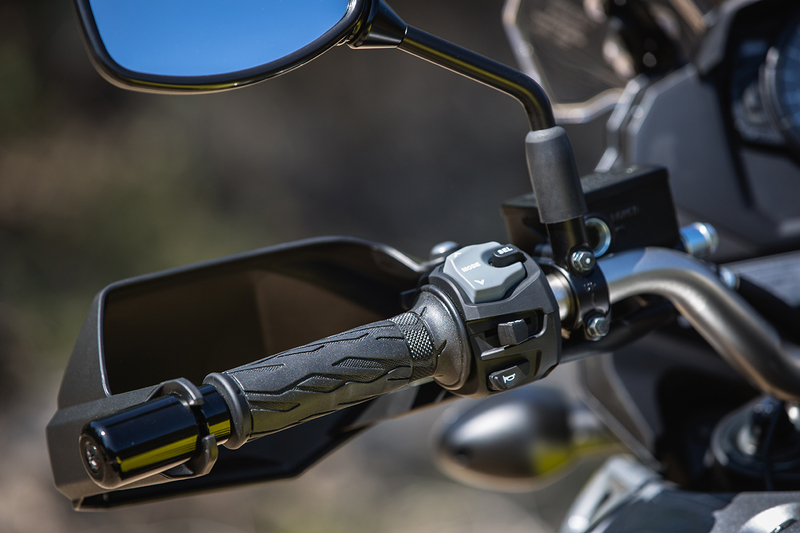 What the V-Strom lacks is a stand out feature, something that makes it clear of the competition. 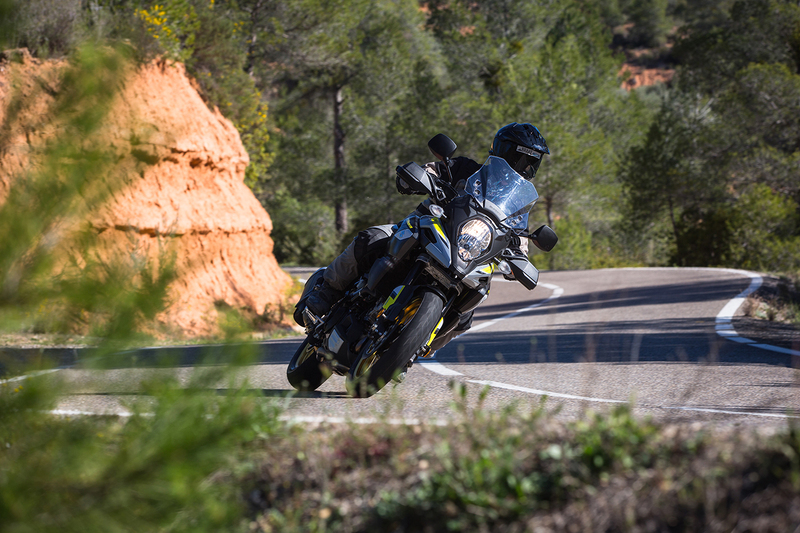 At present, the V-Strom’s stand out features are great value, solid performance and predictability and if that works for you then great. However, I can’t help but feel that a little flagship star, something like Triumph’s quirky and loveable triple engine or the Africa Twin’s looks, would take this bike from a super solid contender to a class buster. It’s a bike that I want to love, that I want to blow me away, to punch me in the guts with emotion and excitement when I ride but it doesn’t quite. If it turned quicker, had a bit more rasp and fire and more off-road friendly set up then the V-Strom could be the next IT bike. Instead it whisks you along the road in smooth, predictable, good manner. That isn’t a bad thing but it’s also not the manner that sells 20,000 bikes a year. Suzuki have a really good bike in the V-Strom, possibly a best in class street bike but it needs a glass of Vimto to take it to the next level. A good road bike with adventure styling. Lacking a little pizzaz.